Update: Boi-1da won a Grammy Award for Best Rap Song, for co-writing “God’s Plan” by Drake. Boi-1da (which is from the phrase, “boy wonder”) has been a successful, pop & hip-hop songwriter & producer since 2009, when he collaborated with Drake on the hit, “Best I Ever Had.” Since then, he’s co-written and produced many other hits, including “Not Afraid” for Eminem and “Work” for Rihanna feat. Drake, which were both number one hits on the Billboard Hot 100 chart. Notwithstanding these excellent credits, Boi-1da had his biggest year yet in 2018. He co-wrote & produced Drake’s acclaimed hit “God’s Plan,” which was #1 for 11 weeks. He also co-wrote the hits “No Limit” (G-Eazy feat. ASAP Rocky & Cardi B), “Lucky You” (Eminem feat. Joyner Lucas), “Be Careful” (Cardi B), “Diplomatic Immunity” (Drake), and “Mob Ties” (Drake). Boi-1da’s success in 2018 has led to him receiving an impressive, six Grammy Award nominations. For his work on “God’s Plan,” he has been nominated for Song of the Year, Record of the Year and Best Rap Song. In addition, Boi-1da received two more nominations in the Best Rap Song category, for “Lucky You” and “Win” (Jay Rock). He has also been nominated for Producer of the Year (Non-Classical). We are pleased to do this new Q&A interview with Boi-1da. He tells how he got started in the music business, and how he co-wrote & produced “God’s Plan” and several of his other hits. But before we get started, here is some background information on him and additional credits. Boi-1da (whose birth name is Matthew Samuels) was born in Kingston, Jamaica, and when he was 3, he moved to Toronto, ON, Canada. He started to create beats when he was 15, and he subsequently won the Battle of the Beat Makers, a producer competition in Canada. He won this competition three consecutive times, which gave him exposure and led to his meeting Drake. Boi-1da has now been working with Drake for a decade, and he’s an in-house producer for Drake’s record label, OVO Sound. He has also launched his own record label and music publishing company. 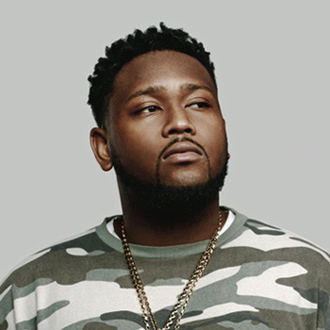 Remarkably, Boi-1da has received a total of 14 Grammy nominations (six for 2018, plus eight previous nominations). Besides the hits listed above, he has co-written & produced the hits “Forever” (Drake feat. Kanye West, Lil Wayne & Eminem), “Over “ (Drake), “Miss Me” (Drake feat. Lil Wayne), “Headlines” (Drake), “Summer Sixteen” (Drake), “Pop Style,” (Drake feat. Kanye West & Jay-Z). and “Controlla” (Drake). DK: Congratulations on being nominated for six Grammy Awards. How does it feel to be recognized as a songwriter and producer? Boi-1da: Man, I’m honored to be recognized as a songwriter and producer by the Grammys. Since I was a kid, it’s been a dream to do something like this, so it’s a real honor and I’m very grateful. DK: Three of your nominations are for co-writing & producing “God’s Plan” for Drake. Can you talk about the making of this song? Boi-1da: The making of that song was an experience. It was a song that was halfway done when I came in an added some finishing touches. It was great working with one of my best friends, Drake. You know, he does what he does best, and he made a hit song…a song that everybody loves. DK: When you collaborate with Drake, what’s your songwriting process? Do you usually create the beat first, or does he come up with the lyric idea first? Boi-1da: Sometimes Drake comes up with the idea first, and sometimes he’ll rap a few bars of what he has. Or he’ll have a hook or a concept for a song. So it doesn’t always start with the beat; sometimes he starts with a song first. We work in different ways. DK: You’ve received a Grammy nomination for Producer of the Year. As a producer, when you’re working on a song with an artist, how do you try to make it a great record? Boi-1da: As a producer, I just like to create from a fan’s perspective…I try to do it off a feeling. When I’m doing tracks and putting songs together, it’s just off of a feeling. If I feel great about it, beyond anything musical or technical, it usually turns out to be something good and something lucrative. So it’s always about the feeling for me. DK: Going back to your early days, how did you get started as a musician and create beats? Boi-1da: I started creating beats at the age of 15, when a friend of mine told me about the (software) program FL Studio Fruity Loops, that I use to this day. At the time, I was already interested in beats and production. When I heard songs that I liked the beat, I would look at the liner notes and see who produced it. Creating beats is just something that I fell in love with. I think one summer, I stayed in everyday and just taught myself how to make beats. DK: I read that you won the Battle of the Beat Makers competition in Toronto. Is that true? Boi-1da: Yeah, I ended up winning three beat competitions, back-to-back. That’s where I started out, and gained confidence as a producer. I was really introverted when I was a kid, so the beat competitions opened the door for me, to be around people and expose myself and my music. It was just getting out there and going to events, and showing your face and getting familiar with people. Those events helped me out in meeting people, and meeting some very integral people in my career. which was co-written & produced by Boi-1da. DK: How did you first meet Drake and connect with him? Boi-1da: I met a producer named D10 at one of the beat battles. I still work with D10 frequently. It was D10 who introduced me to Drake (who wasn’t famous yet). He told me he had a friend…his boy Drake, who was a really good rapper. He just put us in contact, and we basically just started making music from there. This was around 2006. DK: Then in 2009, you had your first hit with Drake, called “Best I Ever Had.” How did this song come together? Boi-1da: That one came together when Drake was on tour with Lil Wayne. He was working on a mixtape, and we were kind of separated a little bit. I was working at a regular job at the time. Drake called me and said, “Look, I’m on tour…I need a couple more songs for my mixtape.” He told me to send him some stuff, since he was on the road. Then I sent him some of my best stuff, and two of those records turned out to be “Best I Ever Had” and “Uptown.” Then Drake dropped his mixtape called So Far Gone, and “Best I Ever Had” was one of the favorites on the tape. It ended up taking off and was bigger than we ever thought it would be. DK: Then a year later (in 2010), you co-wrote a big hit with Eminem called “Not Afraid.” How did you hook up with Eminem for this song? Boi-1da: I had a manager that I used to work with, who was very close with Marshall (Eminem). Prior to doing “Not Afraid,” I did a song called “Forever” with Drake, Eminem, Lil Wayne & Kanye West. I think Marshall liked the track for “Forever,” and he reached out to my manager, who asked me to send some ideas for Eminem. One of them turned out to be “Not Afraid” and the other one was “Seduction,” and both ended up on his album, Recovery. DK: You are known for creating excellent beats and tracks. So how do you get inspired to create those fresh sounds? Boi-1da: You know, it can come from any direction. Sometimes I’ll be inspired to make music after watching a great movie, or having a good conversation. It can come from anything…just being in the studio messing around with sounds, and making something by accident. It’s really a different process every time around. DK: In 2016, you had a big hit with Rihanna on her song, “Work.” How did you get together with Rihanna and create this song? Boi-1da: That song started from a beat we were working on through my producer conglomerate. We were working on a beat together, and we were talking about how we loved dancehall music and how it used to make us feel, when it was really popular in the early 2000s. We decided to make a dancehall kind of track, and then we sent it to (hit songwriter & artist) PartyNextDoor, who was working with Rihanna. Party and Rihanna ended up writing “Work” and it turned out to be a smash hit. I wasn’t really in the room when they were making it; it was a track that we sent over and they ended up working on that. DK: You had another hit that I like, “No Limit” for G-Eazy. How did you hook up with G-Eazy? Boi-1da: I’ve known G for a little bit—I’ve had a few sessions with him. I met him through my boy Jamil Davis, who manages him. Jamil asked me if I could do some stuff with G, and it’s so crazy how the song came together. We were all in the studio, and that was the first beat I played when I got into the room. G loved it immediately. Then ASAP (Rocky) ended up walking into our room. And it’s crazy because ASAP just freaked on it…he went right into the (vocal) booth after hearing the beat and it seemed like he freestyled. He just did his thing and then left. Then G ended up just killin’ the rest of the song. And then he ended up putting Cardi B on it, and the rest is history.